As per direction and expenses borne by the Department of Education, Central Tibetan Administration, every Tibetan school in exile were to provide Arts and Craft Education to our budding and future seeds of Tibet. So far many people have misunderstanding about learning arts and crafts and they are meant for non-scholastic students but in reality arts and crafts have become an important aspects of modern education and anyone can take these as specialized subject for making a career. It is the teachers that help children to understand the importance of arts and crafts in order to achieve their creative potential. All children love to create art and make things. In young children playing with arts and crafts inspires creativity while helping them to focus their mind and complete a set task while other children can begin to gain an understanding of artistic and design skills that may affect their future educational choices. Teachers need to realize the importance of using creative skills to stimulate children’s minds and give them a fantastic opportunity to express themselves in their unique way. They are given the opportunity to work with color and form and with different materials to create their own piece of artwork giving them a sense of achievement and also giving them the opportunity of appreciating other’s artwork. During rainy and holidays, rather than your child watching TV, encourage them to work on a craft project and the end result can be proudly displayed on your fridge or on a shelf. We as teachers should understand the importance of creativity and inspiring children to develop a love for the subject. Later in school life there are many creative options that can be continued as qualifications or even as a career. In the Tibetan Children’s Village School Gopalpur under the dynamic leadership of Junior Section headmaster Mr. Sangpo, the project of Arts and Crafts was undertaken with initiative of Mrs. Sechung. The Arts and Crafts project got underway with involvement of 16 students after their school hour from May 28 to July 23, at 4.30 pm – 5.45pm. The Arts and Crafts in charge Gen. Sechung la has been working with the students day in and day out without even break on Sundays and Holidays besides her classroom teaching loads. 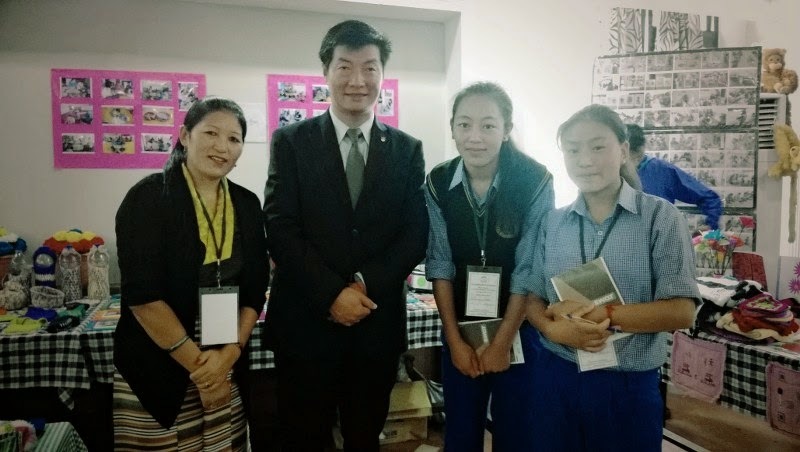 The Department of Education, CTA has urged every Tibetan school to come with their artworks to be displayed on July 24 – July 26. 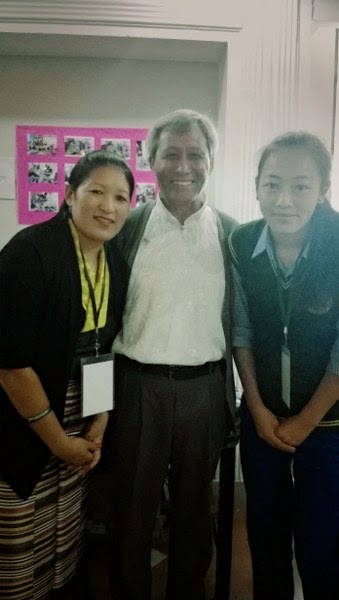 Gen. Sechung was accompanied by two students namely Tenzin Deckyi and Tenzin Lhamo went to Gangkyi as representatives of TCV School Gopalpur. On the day of exhibition of school-wise artwork, Sikyong Lobsang Sangye along with other CTA dignitaries inaugurated the function and minute details of every school work was inspected and Sikyong was especially happy with our students’ artwork and showered his words of appreciation which makes TCV Gopalpur proud and there was a sense of satisfaction among the concerned students and teacher in charge Gen. Sechung la. 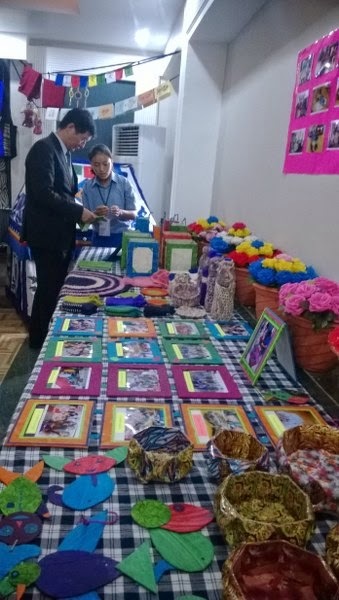 During the exhibition of artwork, officials from CTA and other onlookers were showing eagerness of buying our school’s products despite rejection. 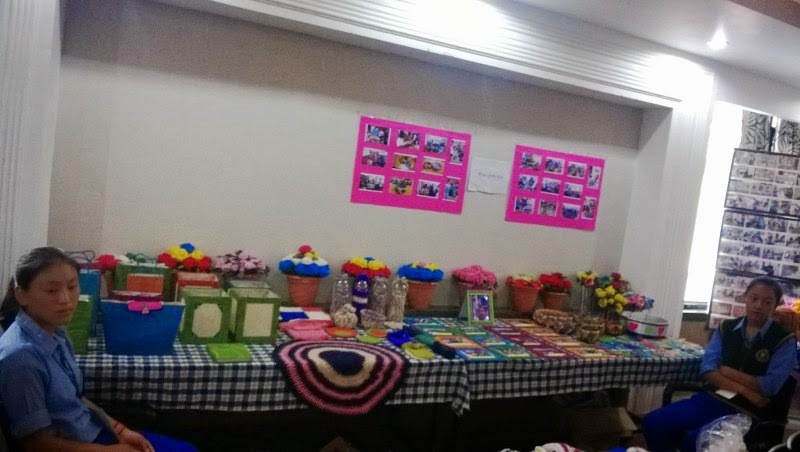 In a nutshell, the art and craft work done by our students with teacher in charge has not only brought laurels to TCV School Gopalpur but also became a master piece for other Tibetan schools.